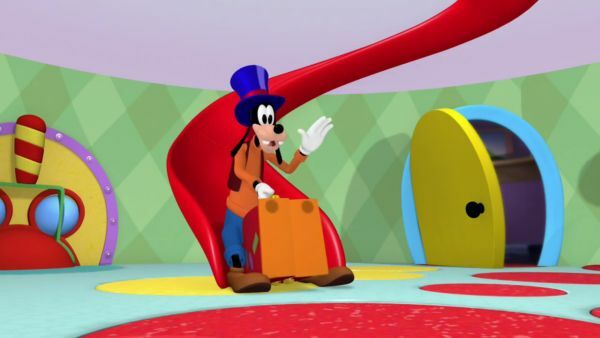 GOOFY: It's ok, everybody! I'm gonna practice my magic act! I will now make a beautiful rose appear. Hocus-pocus! Gosh, is that a rose? PLUTO: Uh. 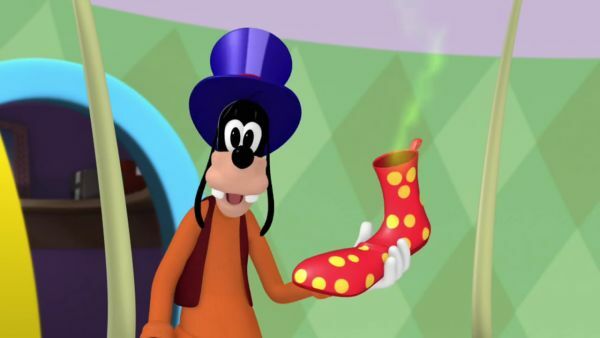 GOOFY: Nope, definitely not a rose. It's my polkie-dotted galosh, and it's stinky! Just the way I like it! Guess I ought to work on my act. See you later at the show! DONALD DUCK: What a Goof! 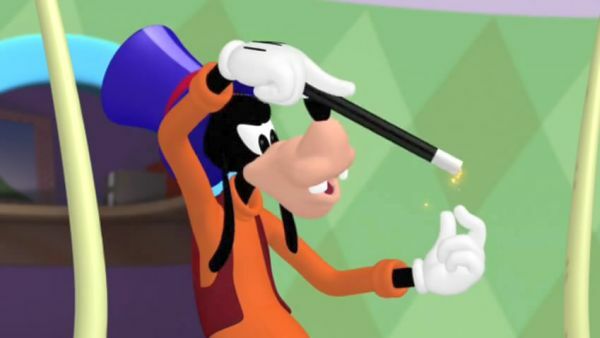 MICKEY MOUSE: I think Goofy's got the right idea. 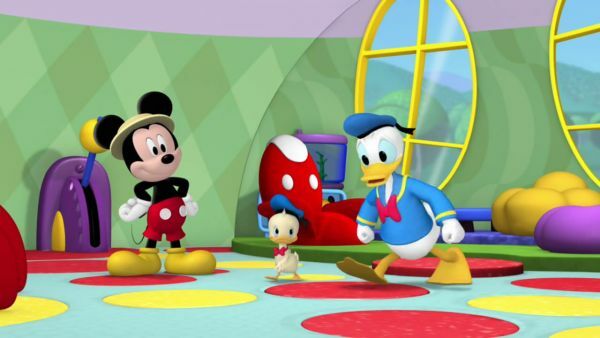 DONALD DUCK: Ok, Junior! We've got to practice! Step, step, step. 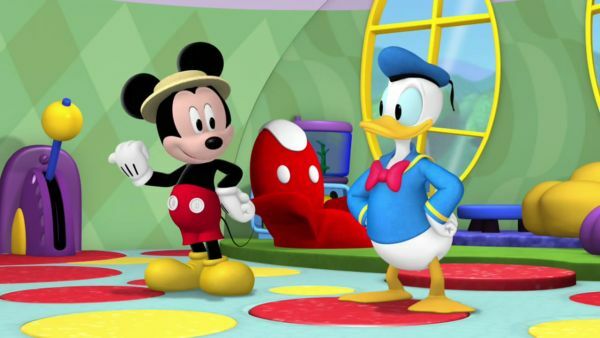 MICKEY MOUSE: Hold on, Donald! How about some music to help us learn the dance? Hot dog! It's my ukulele, I haven't played it in a while. Uh-oh! Looks like I need a new string. 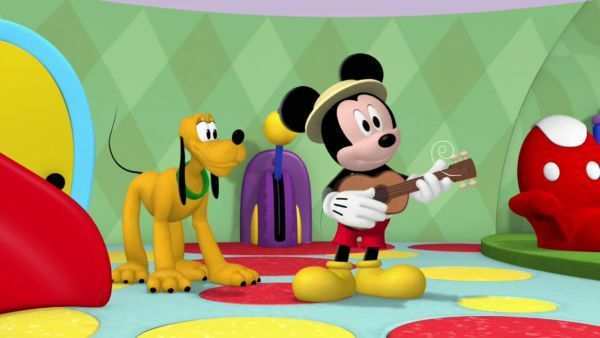 Maybe toodles has a Mouseketool that can help me fix my ukulele. Everybody say: oh, toodles! ALL: Oh, toodles! TOODLES: Ready when you are, Mickey! 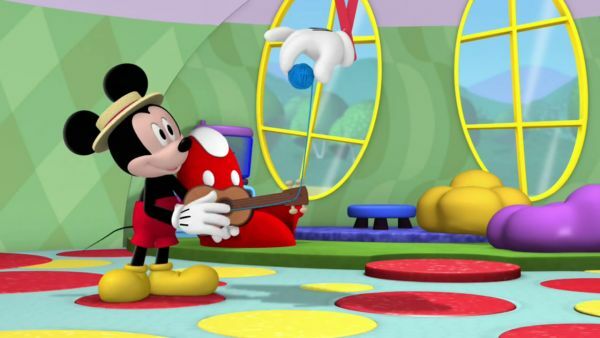 MICKEY MOUSE: We have the rescue truck, a ball of yarn, giant marshmallow, and the mystery Mouseketool. Hmm. Which Mouseketool can we use to replace my ukulele string? The ball of yarn? Yep! We can use a piece of yarn for the string! We've got ears. Say cheers! Thanks, handy helper! Ready, Donald? DONALD DUCK: Yep. Come on, Junior! DONALD JUNIOR: Yeah! DONALD DUCK: Step, step, step, step! Kick this way, kick that way. Now what? 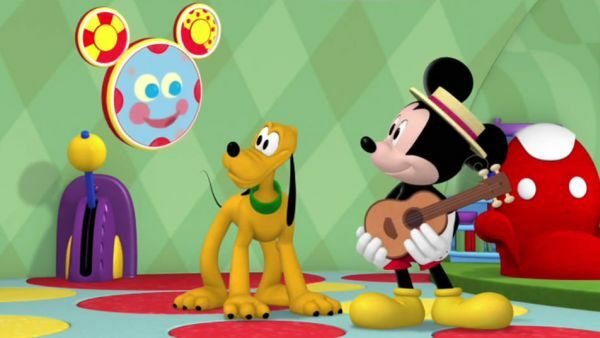 MICKEY MOUSE: Gee, sounds like something's going on outside. Let's go see!